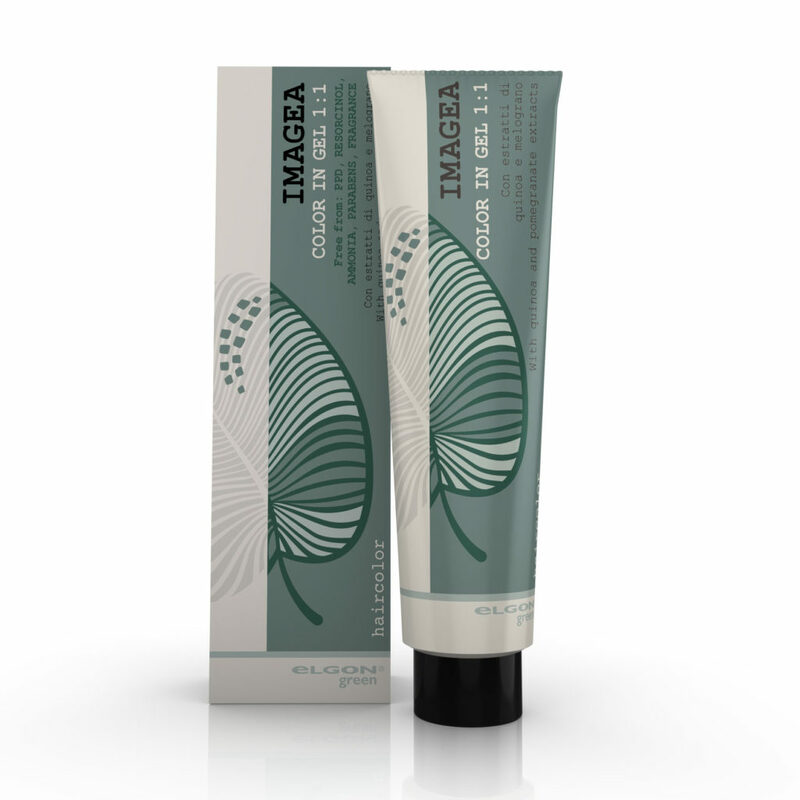 Color in Gel 1:1 is the Imagea permanent haircolor line with a gentle formula and the unique gel texture. The line has 27 shades. These hues were chosen for their strength and their ability to guarantee top results. – Those salons that want to offer their customers a gentler alternative, with natural products that have the same performance as traditional products. – These are customers who are sensitive to environmental issues and who are seeking natural products. Apply to unwashed, dry hair after having put on disposable gloves. – Mix in 1:1 ratio with the 25 volume oxidant cream. – Immediately spread the mixture uniformly into the hair. – Processing time 35/45 minutes and then proceed with the three-step post coloring process. – Rinse out thoroughly with warm water. – Purify the scalp with the gentle cleanser. – Wash the hair with the post coloring shampoo. 1) Original quinoa proteins from the Andes, with a highly varied amino acid composition that keeps the haircolor from fading. The amino acids coat each hair giving it body and a healthier and shinier appearance. The quinoa proteins in this product come from sustainable agriculture. 2) Pomegranate extracts, rich in nutrients such as Vitamin C, folic acid and polyphenols. This translates into strong anti-oxidant and anti-fading activity. Phytoelisiris also a part of the Elgon Green Imagea line. This line guarantees excellent professional results using as many products with plant derived active ingredients and ecological and eco-sustainable materials as possible.